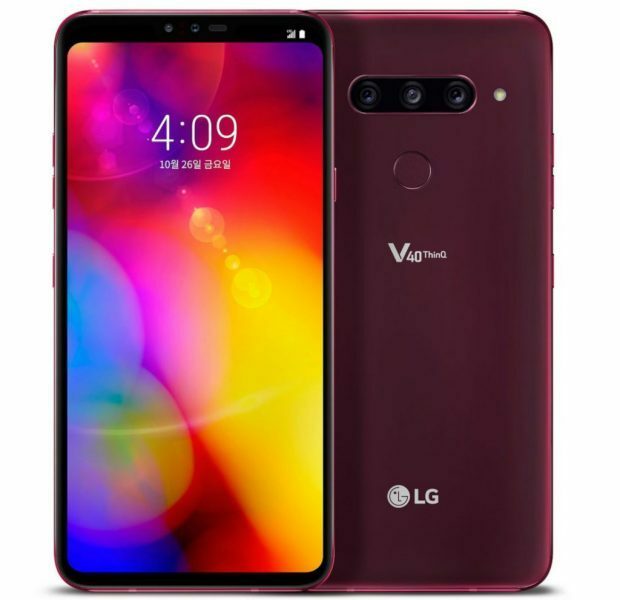 South Korean giant LG has unveiled today LG V40 ThinQ smartphone in India which is armed with five cameras – three on the rear and two on the front. The LG V40 ThinQ sports a new and improved 6.4-inch QHD+ (3120 x 1440) OLED FullVision display and a bottom bezel that is 1.6mm thinner than its predecessor. The new plastic OLED display is designed for immersive, vivid and vibrant content enjoyment. This phone is powered by Qualcomm Snapdragon 845 Mobile Platform paired with 6GB of RAM and 64GB or 128GB of internal storage, which is further extendable to 2TB via microSD card. The major highlight of this phone is its five cameras. It has a rear camera module with three different lenses: 16MP super wide-angle, 12MP standard angle and 12MP telephoto. The 107-degree super wide-angle lens captures subjects with more of the background with ease, while the telephoto with 2x optical zoom (or 3.2x the zoom of the wide-angle lens) takes clear shots from distance without a loss in image quality. The Triple Shot feature stitches together the images captured with each of the three lenses into a short video file for easy sharing. For selifes, it has front camera module of a 5MP wide-angle lens and 8MP standard angle that work in tandem to create the perfect bokeh effect with an on-screen slider to adjust the amount of background blur. The pixel size of the main rear camera sensor has been improved by about 40 percent compared to the LG V30, increasing from 1um to 1.4um, while the image sensor is more than 18 percent larger than in the LG V30. The F1.5 aperture of the main camera delivers greater depth of field, half the shutter lag and significantly faster burst mode compared to the LG V30. The other features of rear cameras set up are Dual PDAF (Phase Detection Auto Focus) which is claimed to deliver automatic focusing that is 50 percent faster, about twice as fast as the industry average. The advanced HDR feature analyzes and determines the right exposure settings to create perfectly lit shots, eliminating overexposed backgrounds or underexposed subjects. Other features of the camera are Cine Shot, 3D Light Effect, Makeup Pro, Custom Backdrop, My Avatar and AR Emoji. This phone comes with 3.5mm audio jack and 32-bit Hi-Fi Quad DAC and Boombox Speaker that was originally introduced in the G7 ThinQ. This phone uses LG’s proprietary Silky Blast process which etches the tempered glass back with microscopic pits to create a smoother matte finish which feels extremely comfortable in the hand without being slippery. It meets the U.S. Department of Defense requirements for durability, passing 14 MIL-STD 810G Transit Drop Test categories for suitability in military operations and is IP68 rated. This phone will be available in New Aurora Black, New Platinum Gray, New Moroccan Blue and Carmine Red colors. LG V40 ThinQ is priced Rs. 49,990 and is available from today on Amazon.in and with selected partners.